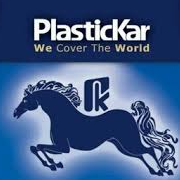 Plastickar is a leading manufacturer and exporter of PVC and PE extruded products with an annual production capacity of 400000 MT. The company an ISO 9001:2008 AND CE certificated manufacturing factories group, owned and operated by an Iranian family since 1988. Huge export of diverse high quality of products to more than 16 countries, suitable quality as well as the global; policy of customer satisfaction, Plastickar was selected as the national exemplary exporter and reputable exporter by a mandate issued by the Ministry of industry , Mine and trade for consecutive years. Mono and Multi-Layer PE Films (LDPE and HDPE) in different widths and thicknesses and high quality flexographic printing up to 6 colors. 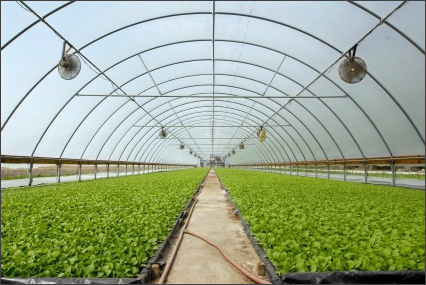 - Agricultural Films such as Green-house Films, Tunnel Films, low tunnel Films, Mulch Films, Silage Covers, Geomembrane Liner and etc. - Construction PE Films such as Polyethylene Sheath or Sleeves, Foundation PE films, Barrier Tape, Building Films. - Disposable Tablecloths in diverse designs, colors, size and packaging (up to six color printing). - Regular and heavy duty Garbage Bags. - Gusseted and flat PE bags. - T-shirt bags and shopping bags with different types of handles and designs. - Industrial Sealed Bags (rolls and bags), Drum liners and Pail liners, Jumbo Bags Liners, Big Bags, heavy duty bags and Pallet bags and etc. - PVC Granules in different grades applicable for Wire and Cable, Automotive, Hoses, Shoes and other related Industries. - PE compounds with ''Hi-Cal'' brand which used in PP bags industries, injection and blowing industries and etc. - Mono and Multi-Layer, Reinforced PVC Hoses to be used for Irrigation, Agriculture, Gardening, Horticulture, Firefighting, industrial purposes. - Polyethylene (PE) lay flat hose.